There is something romantic and adventurous about storybook photos at the beach. I am obsessed with trying to create this look! I am not sure if it is the setting or the subject, or maybe both, but this session we nailed it! What should you wear for beach photos? Do you love the boutique look of storybook photos? 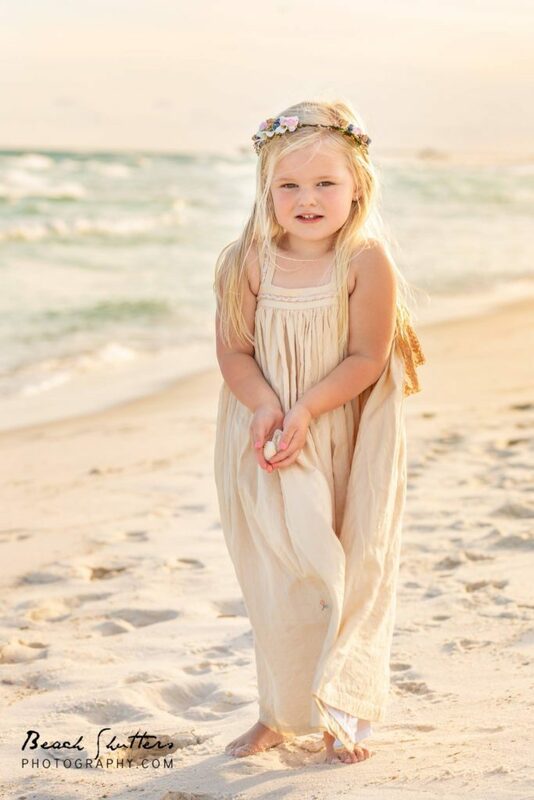 When choosing your child’s clothing, neutrals are soft and dreamy. Simple loose fitting dresses in white, off-white, khaki or pastels will all work. A simple headband or flowers are also a nice accent. To create storybook photos, you need to start with a beautiful day! This particular session was an afternoon shoot, with clouds building and winds blowing. Some may not have thought it was picture perfect weather, but we went with it. Yes, I know, we broke the golden rule and did not choose sunset for these photos. Mother-nature decided for us! Oh, little Hadley, you are precious! 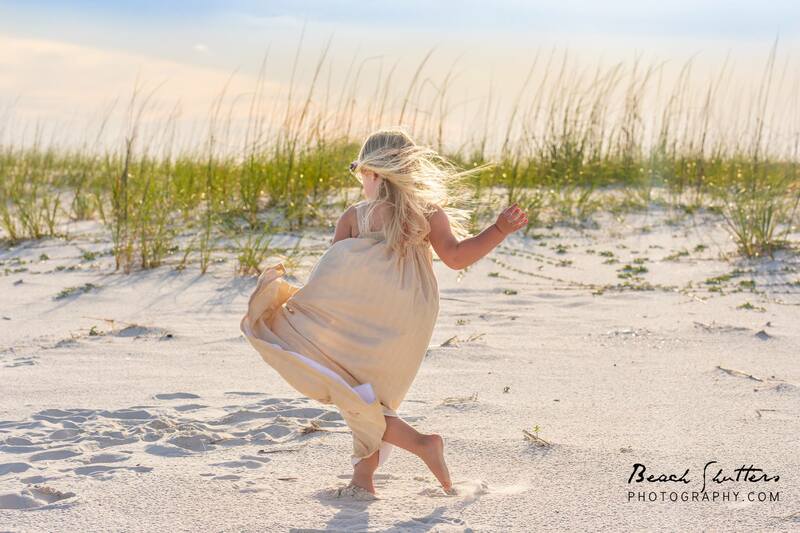 This little free-spirited girl loves the beach and it shows. 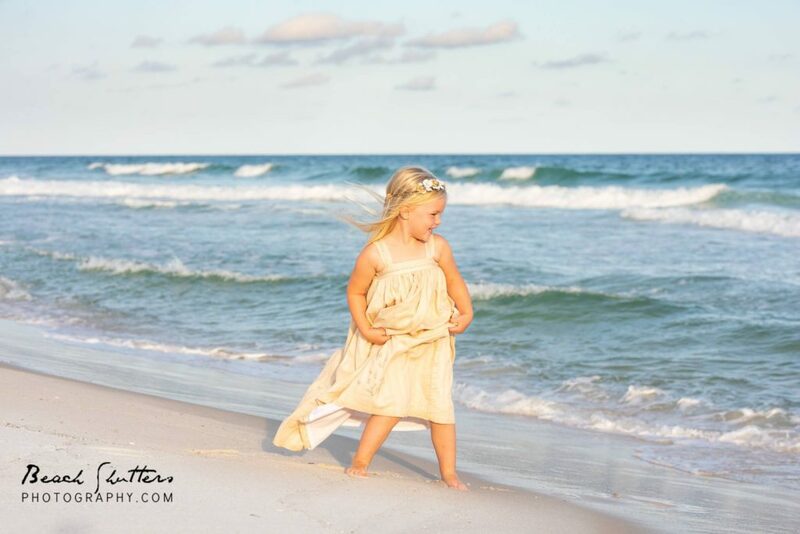 Her mom let her run, twirl and play, doing what comes naturally. There was no fussing or even asking Hadley to look at the camera. Truly candid photos were our goal, and that is what we got! There are no words needed for photos like these. Simple ingredients like clouds, waves, headbands, and a linen dress are all that is needed. 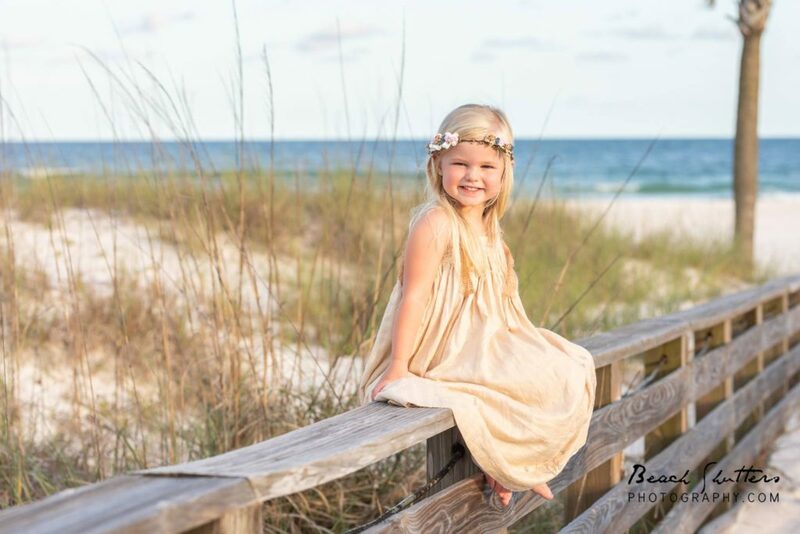 Your sweet smile and our lens will capture your storybook photos perfectly! Thank you for visiting our website! 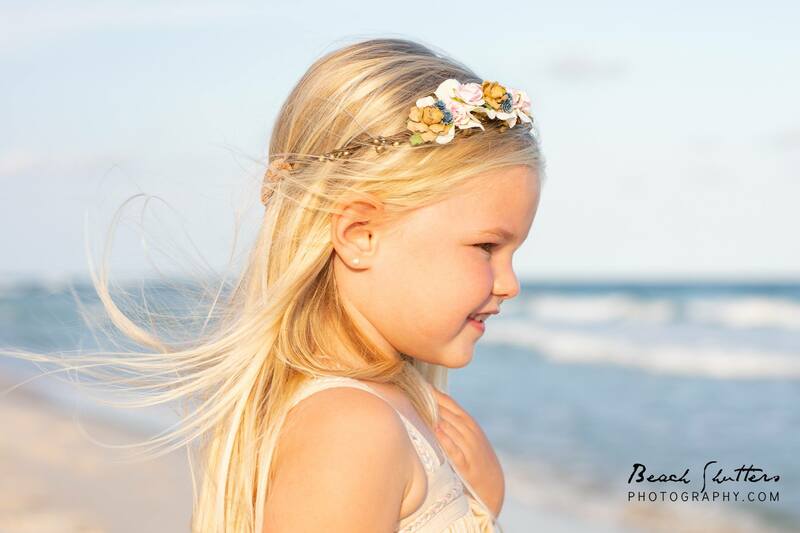 Beach Shutters photography also offers family beach portraits, children’s photography, senior portraits, wedding photography, engagement sessions, professional headshots, and real estate photography!